Make a Christmas E-card with your favorite photo and personalized messages for this coming holiday season. In just 3 steps you can finish a good-looking Christmas card. Try it now. Many people make homemade Christmas cards for loved ones, but few know how easy it is to make a personalized Email Christmas card. E-Cards are considered as a fast, inexpensive and environmentally friendly way to send Christmas greetings to family, colleagues and friends. Edraw can be used as a convenient Christmas card maker. It helps easily personalize the card for each recipient, adding your own greetings, name, images, and even your own photographs. Applying a background already makes half of the success. You can use a ready-made background from the existing templates on the website/software or download the background package directly by clicking on the link below. 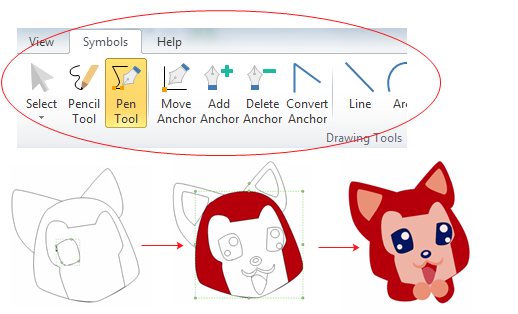 Under View tab of the drawing page, switch to the Background View and copy/paste a background to your page. Below are some sample backgrounds. You can also draw a background all by yourself using our drawing tools. 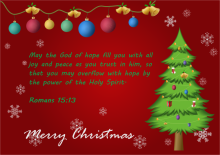 Click here to see how to create a Christmas card with Edraw. 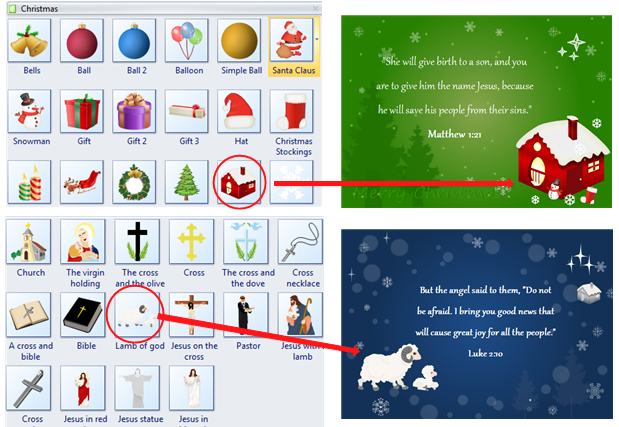 In our software, we have included a set of Christmas-themed clip arts allowing you to drag and drop to use. The clip arts can be re-edited due to the vector nature. With Edraw, you can be a Christmas card designer without professional drawing skills because we have many existed resources to use. However, if you are good at drawing, Edraw can also be an easy drafting software allowing you to draw new and personalized clip arts. Creating a heartwarming Christmas card with personal message and your own photos for your loved ones is an exciting thing to do. Edraw allows you to drag and drop local images and photos to the drawing canvas. 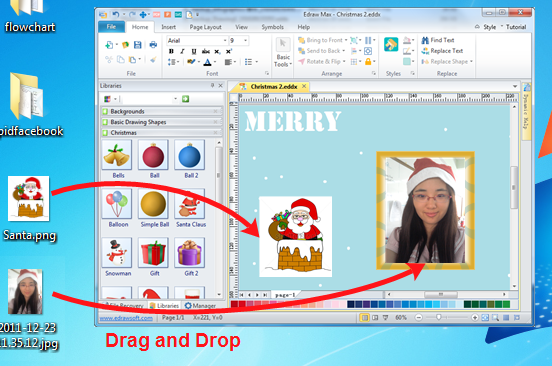 You can insert one or more photos/images into the Christmas card and lay out them to the best look. Note: After everything finished, it's important to export your card to a format that everyone could open and read. 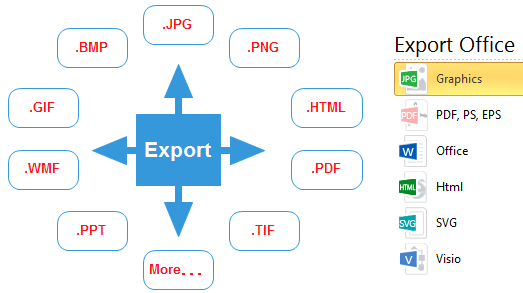 Edraw gives you dozens of choices to export the card. 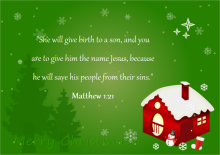 Choose an appropriate format, and with one click, a new Christmas E-card is ready to send out. 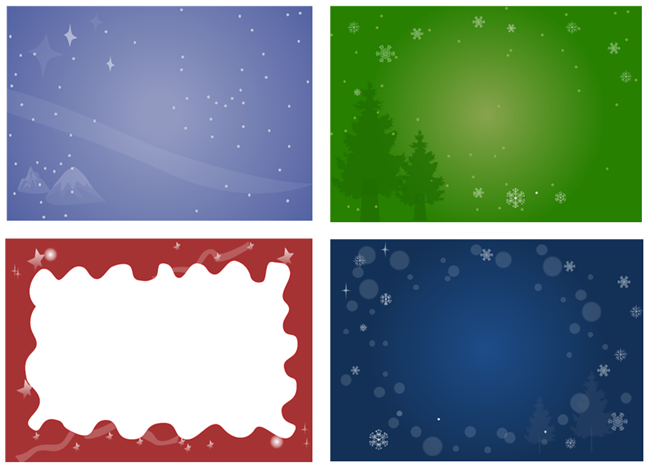 Below are some Christmas card examples created with pre-made clip arts and background in Edraw. With lots of materials in the program, you don't have to be professional in design, but could get professional results. Don't you think it can be a great practice and game for children? Let them release their creativity and make a personalized Christmas card this Christmas which is more meaningful and worth keeping. 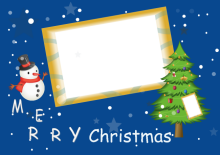 Download Edraw and see how quickly and easily you can make Christmas card.